Mold is a fungus that can be found anywhere there is a damp, humid area. Basements and attics are a perfect place for mold and mildew to grow. Unfortunately, these are also the most common places people like to store their antique wooden furniture. Antique wood furniture is prone to mold and mildew if not properly taken care of. Every year, antique furniture is ruined by this naturally-occurring event. 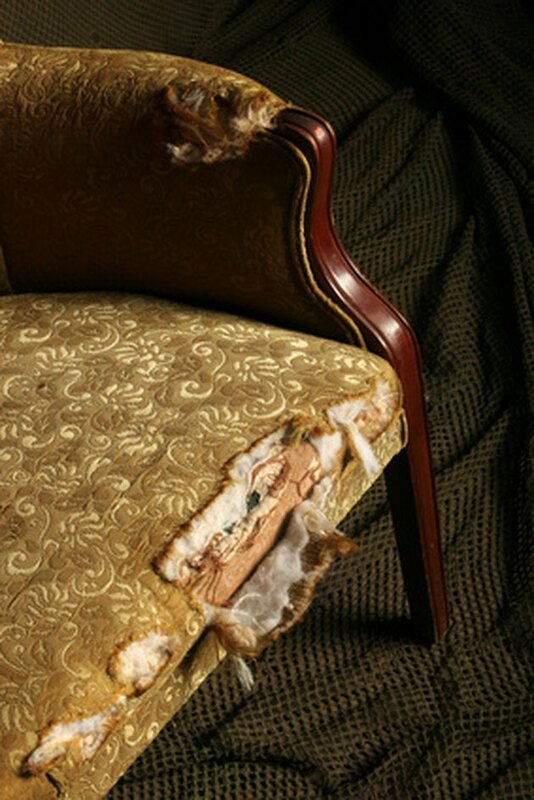 You should remove mold and mildew from antique furniture to keep the furniture from being permanently damaged. Clean and dry furniture completely. Place the furniture in sunlight to dry quickly. Mold and mildew loves moisture and you need to be sure the antique furniture is dry before you remove mold and mildew from antique furniture. Mix one quarter cup bleach into one gallon of warm water and then add one tablespoon of laundry detergent into the solution and stir until combined inside of a bucket. Avoid making the solution bubble. Stir without agitating it until it becomes soapy from the laundry detergent. Place a clean cloth into the bucket of cleaning solution. Wring and twist the excess solution out of the cloth and begin to wipe the furniture down with the mold and mildew removing cleaner. Use a soft brush and/or toothbrush to reach into the seams and wood working construction of the antique furniture. Scrub into the deepest crevices with a soft brush and then wipe it down with a clean rag to remove excess solution. Set the antique furniture in the sun to dry or in a low humidity room until it is completely dried. Monitor the furniture so that it does not sit untreated for too long after it has been cleaned of mold and mildew. Moisten a clean linen cloth with the Linseed oil. Wipe down the furniture with Linseed oil applied liberally, allowing the oil to saturate the clean wooden surface. Let the furniture stand for 15 minutes before wiping any excess oil off the wood's surface with a clean rag. Rub into the crevices and corners that trap extra oils until the entire piece is evenly coated.